Cogitek's mission is to become the leading provider of high quality tools for software testing and quality management professionals. Cogitek develops and maintains RIATest, a powerful GUI test automation tool for modern web applications. 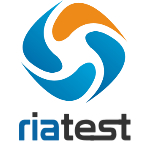 The RIATest testing tool has a growing worldwide customer base. Thanks to major release of version 5.0, development teams now have access to the best test automation tool specifically designed for Adobe Flex, HTML5 and Sencha ExtJS applications.